She was the daughter of a wealthy Boone County farmer and the granddaughter of Jacob Fowler, one of the earliest pioneers of Northern Kentucky. In 1834, she married George P. Cleveland, a seventh-generation member of a well-known New England family. It seemed like a storybook life. And then it all came crashing down for Henrietta Esther Scott Cleveland (1817-1907). In 1838, Henrietta and George’s first child, Charles, died at age two. Then, in January 1839, 31-year-old George died. Henrietta was one month pregnant at the time. Later that year, she gave birth to George Putnam, who died at age 11 in July 1851. But Henrietta Cleveland did not drown herself in sorrow or lose her faith in a loving and merciful God. 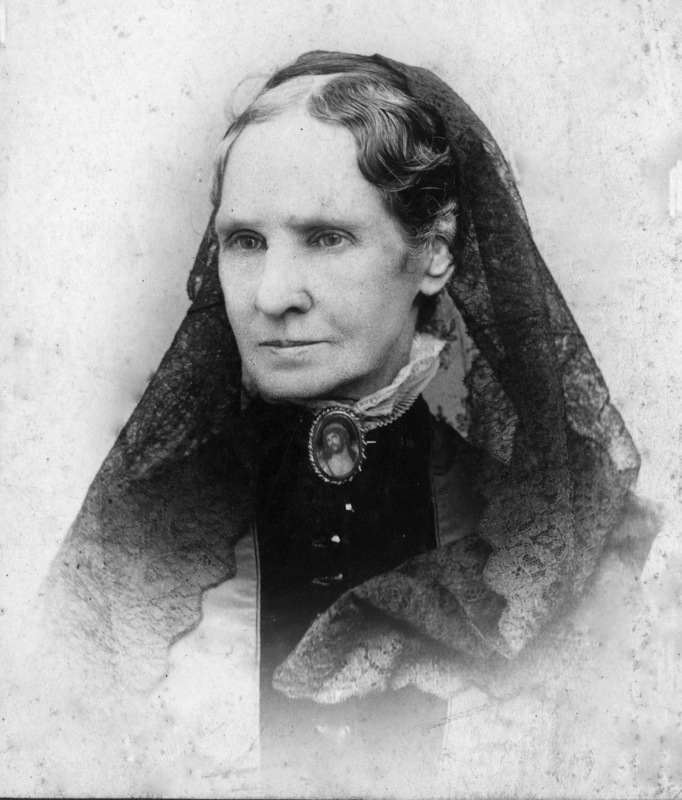 At some point —we don’t know exactly when — she converted to Catholicism, like her friend Sarah Worthington King Peter (1800-1877) of Cincinnati, who also was a widow. Together, these two women embraced life with value and purpose, knocked down walls of hatred and poverty, and founded institutions that still reach thousands of people daily in the Cincinnati/Northern Kentucky area. Henrietta Cleveland and Sarah Worthington King Peter approached Covington’s first Catholic bishop, George Aloysius Carrell (bishop 1853-1868), whom they knew from his presidency of Xavier College (now Xavier University) in Cincinnati. They wanted to establish a hospital in Covington. But the Diocese of Covington was brand new, poor, and very understaffed. Nevertheless, Cleveland and Peter convinced him and raised the necessary funds to buy the hospital’s first building. 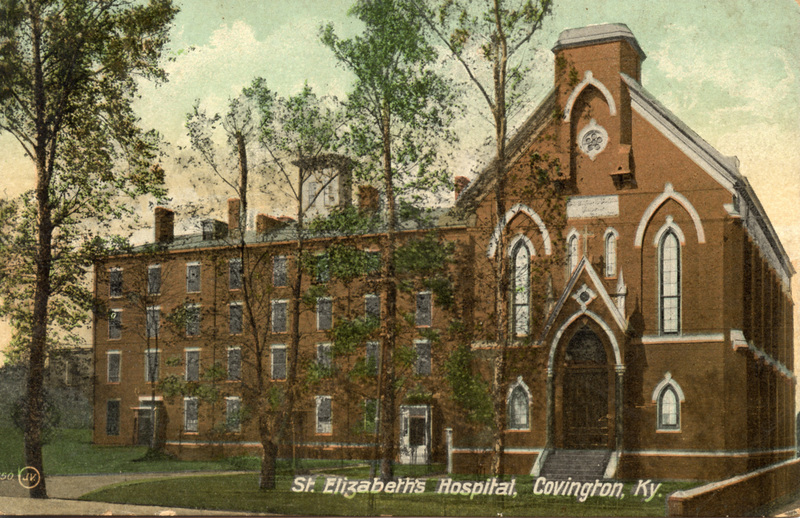 In 1861, St. Elizabeth Hospital opened on East Seventh Street in Covington. The Sisters of the Poor of St. Francis staffed the hospital, and served everyone, regardless of religion or race. During the Civil War, Cleveland and Peter visited Union and Confederate soldiers, and nursed Thomas Major, of John Hunt Morgan’s Raiders, backed to health. In their loving eyes, everyone deserved respect and dignity. After the Civil War, Cleveland and Peter assisted St. Elizabeth Hospital in buying its second location, the former Western Baptist Theological Institute on West Eleventh Street in Covington, which had served as a Union army hospital during the war. In 1907, Henriette Cleveland passed away at age 90. She is buried in St. Mary’s Cemetery in Ft. Mitchell, Kentucky, where a lovely monument was erected to her memory by St. Elizabeth Healthcare in 2011 to commemorate the 150th anniversary of her hospital. Henrietta Cleveland proved that each and every one of us, despite our trials and tribulations, can make the world a better place. Paul A. Tenkotte is Professor of History and Director of the Center for Public History at NKU. With other well-known regional historians, James C. Claypool and David E. Schroeder, he is a co-editor of the new 450-page Gateway City: Covington, Kentucky, 1815-2015, now available at your local booksellers, the Center for Great Neighborhoods in Covington and online sellers. Editor’s Note: St. Elizabeth Healthcare presents the Henrietta Cleveland Inspiring Women Award each year at the Outstanding Women of Northern Kentucky awards luncheon. If you know a woman in your life who, like Cleveland, is committed to the health of our community and serves as an inspiration to others, nominations will open on October 1. Send an email to LARaterman@aol.com to receive a nomination form. Thank you Mr. Tenkotte for the article on St. E. As my famliy has a long history at St. E., I wasn’t aware of the 7th St. & 11th St. locations. My Aunt, Ida L. Haegele, was a nursing student there & graduated in ’45 as an Army Nurse Cadet. She is pictured on the wall at Edgewood, with the girls she graduated with in the Nurse Cadet Program. Going straight into the Army Nurse Corp upon graduating, she retired a Major in ’65. She then returned to St. E. to work in the ER and did some supervision for them for a while hanging up her cap in the early 70’s. Her sister, Nora Haegele Upthegrove also attended nursing school there but had to drop out after her 2nd year to spend time at the Ft. Wright TB Sanitorium & later be a fulltime mother & housewife. I was born there in ’62 & my mother was an RN there in the ICU/CCU for 18 yrs. My cousin, Garren Colvin, started there in the payroll dept. 32 or so years ago & is now the President/CEO of St. Elizabeth Healthcare. I had no idea about Cleveland & Peter, I just thought it was all started up by the Sisters of the poor. I am looking forward to reading your book as Covington history intrigues me. Thanks again.